Our graduates possess extensive knowledge of discipline-specific fundamentals concerning the physics of soft matter, ranging from nanometers to the microscopic scale. Furthermore, they also acquire essential insights into current research from across the entire spectrum of modern biophysics: from molecular and cellular biophysics, system biophysics and biomedical biophysics, to molecular nanotechnology. Master student at the Munich School of Bioengineering (MSB, formerly IMETUM). Bild: TUM. Biophysics deals with the physical description of biological materials. This involves examining the elementary molecular components of a cell, as well as the interaction of these components at a systemic level. The aim of research is to establish a comprehensive understanding of the fundamental mechanisms that ultimately make life possible, but which also cause diseases. The findings can, by way of example, contribute to the diagnosis and remedying of diseases, or give rise to new technologies inspired by biology. In the process, the complexity of living matter offers a fascinating opportunity to discover entirely new physical laws that are far removed from chemical or thermodynamic equilibrium. 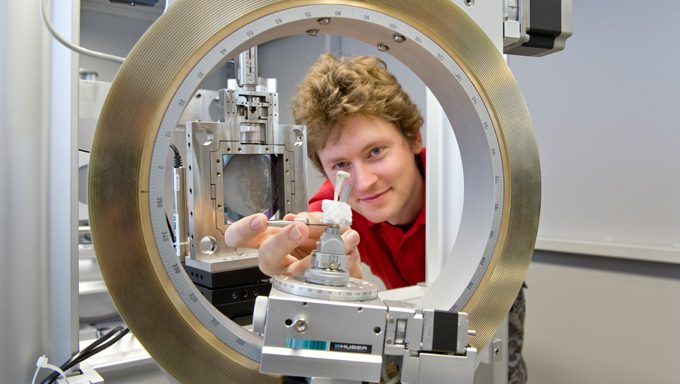 With ten leading international task forces, biophysics research at the Technische Universität München covers nearly every aspect of this modern and intensely interdisciplinary research area. Our research groups within this field are therefore uniquely positioned in Germany. The study program of the first year of studies can be organized individually. A mentor can give you advice in choosing the specific courses. If you are interested in a given research area, it may be helpful to choose a mentor working in it (e.g. see the lecturers of the courses).